Boots: Hunter in "Military Red"
I officially have all my Christmas decor up. Well for the most part, I feel like I could always add more, but I better keep it the way it is. I promise I will get pictures up sometime next week. 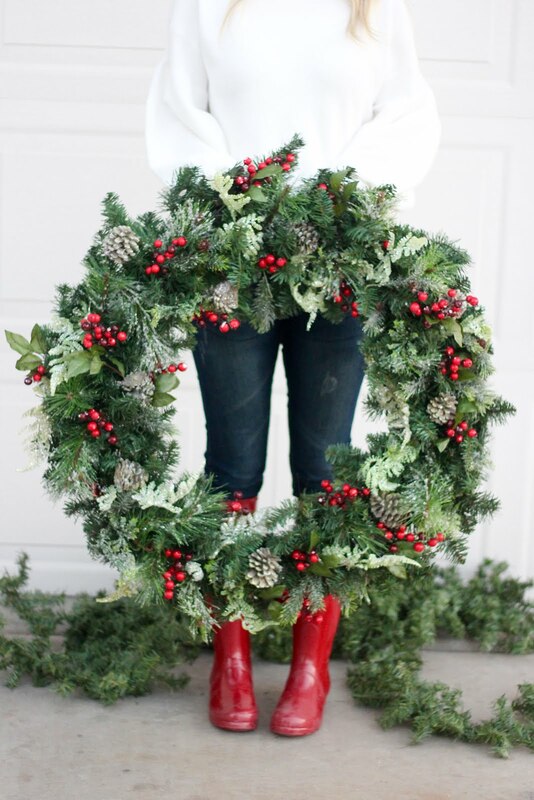 I had posted a picture a couple weeks back about building my wreaths and got a huge response from you all! You are all so sweet. I have a hard time finding exactly what I want a lot of time. So I make them myself. 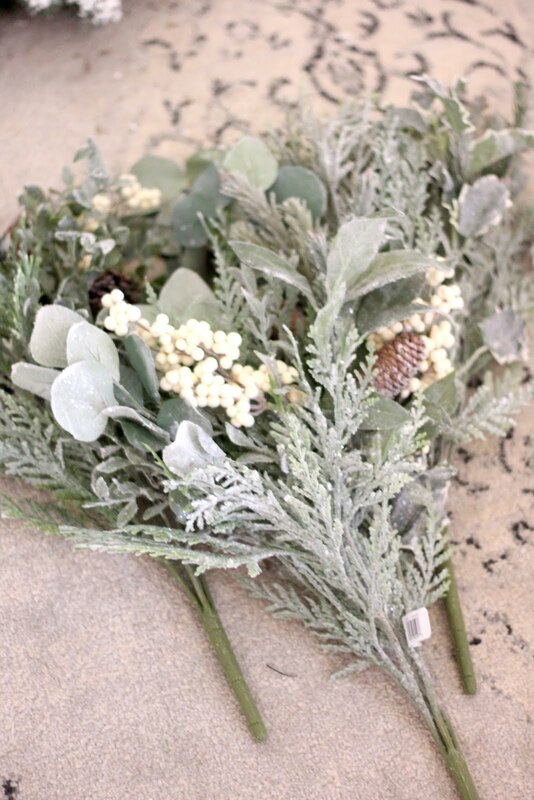 I thought it would be fun to share what I do to create the perfect wreath. 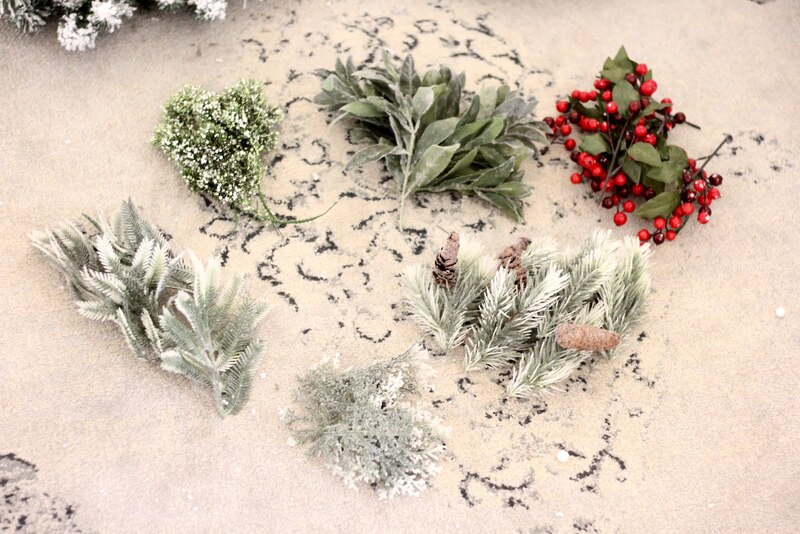 I also use this technique with my garlands too. 1. 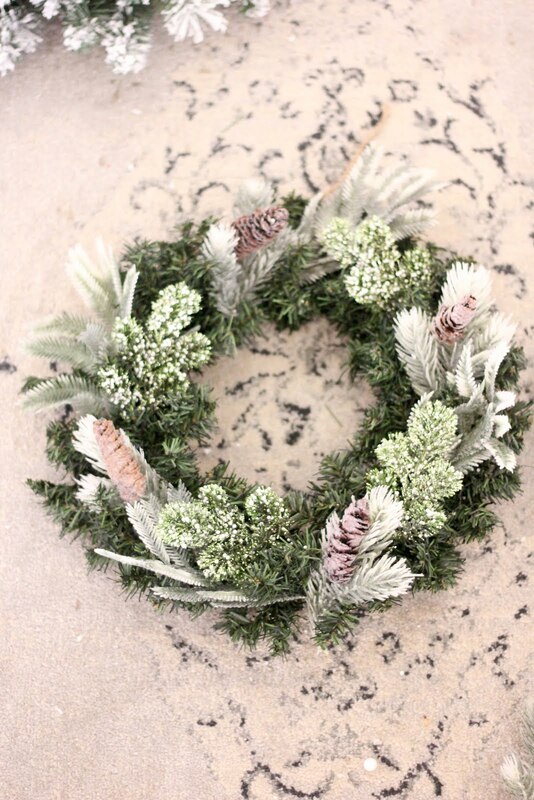 Find a plain wreath. Or find something you like and you can add to it to make it your style. 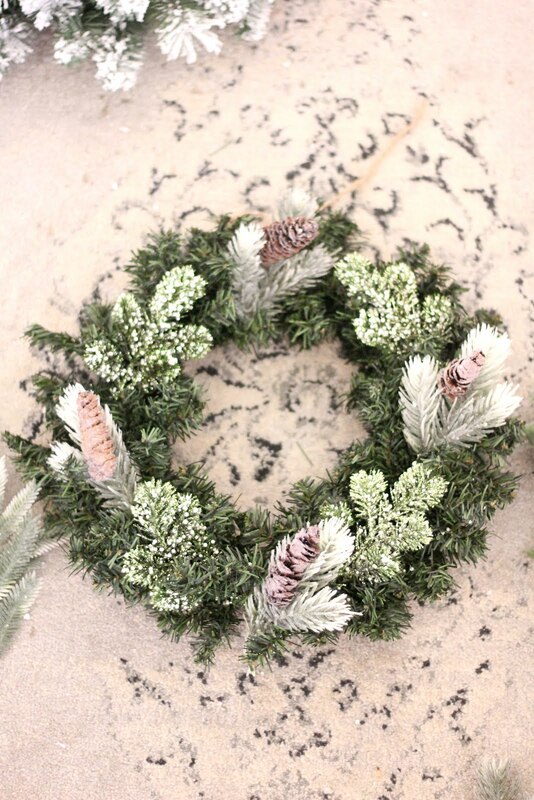 Here I have a 16 inches flocked wreath and a 8 inch spruce wreath. 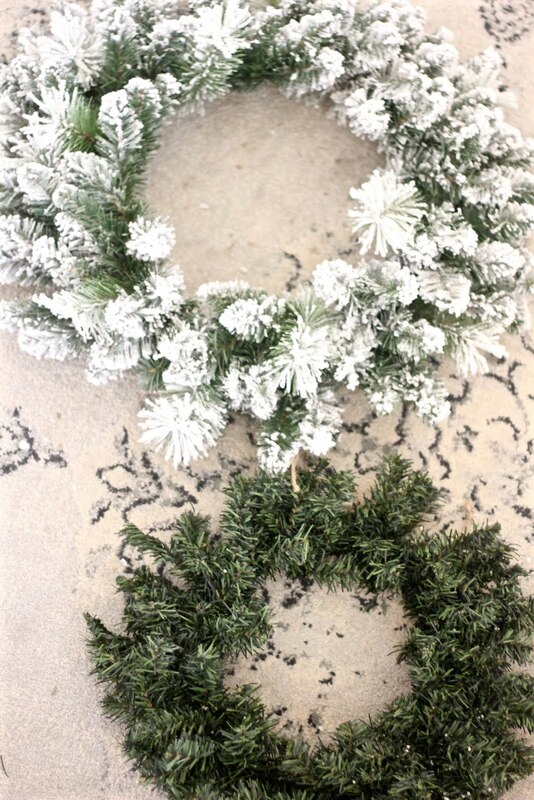 I have two flocked wreaths in my living room and the little spruce wreath is in Hudson's room. His room is actually done, I am just waiting one two little things I ordered on Etsy to arrive to make it complete. So once those pieces come in, I will share. 2. Pick out a some bundles. I always find mine at Michaels Craft Store. We really don't have many places in Yuma to choose from, but I love find the best stuff there! They always have the best sales too. Find out what look you are going for and start from there. It can be overwhelming. Especially when you walk into the store and you see everything. I can't tell you how many trips to the craft store. I have so much Christmas stuff from over the years, so sometimes I mix different bundles together. 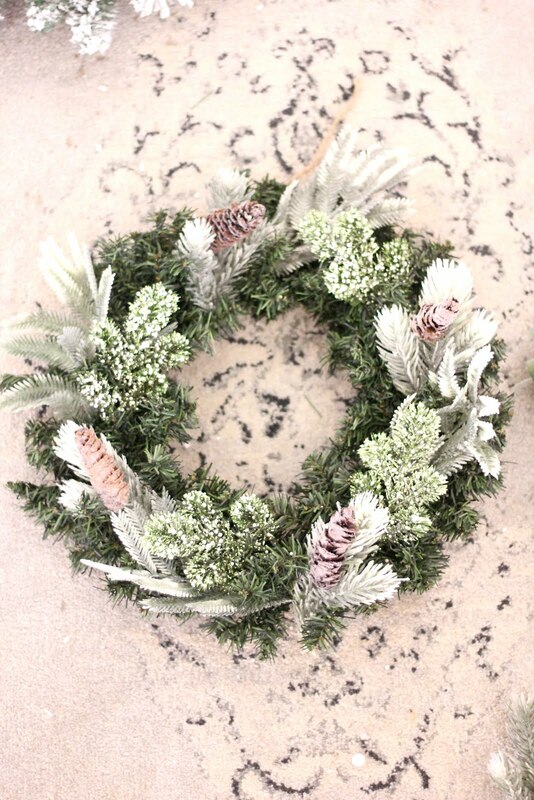 Depending on the size of the wreath will depend on how many bundles you need. 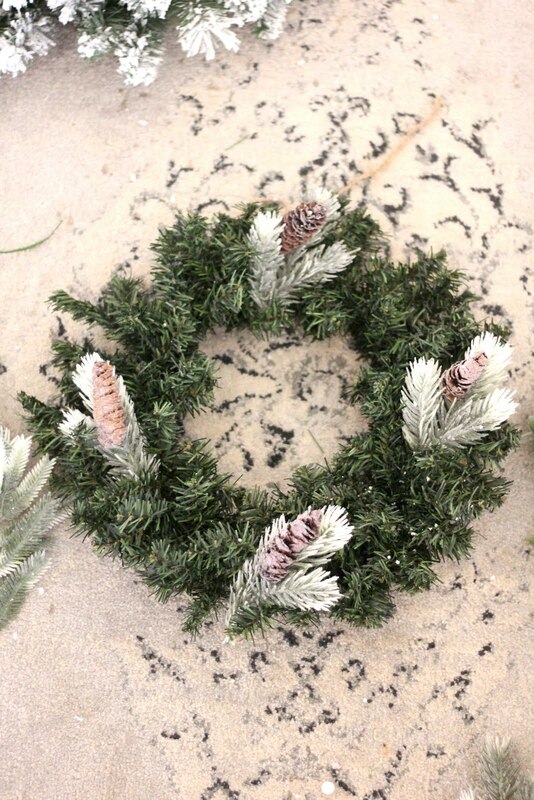 I like my wreaths to be full and chunky so I will have anywhere from 4-6 bundles per wreath depending on what I am doing. I keep an eye out when Michale's offers any additional discounts on already sale items. Even though it might already be on sale, it can still add up real quick. 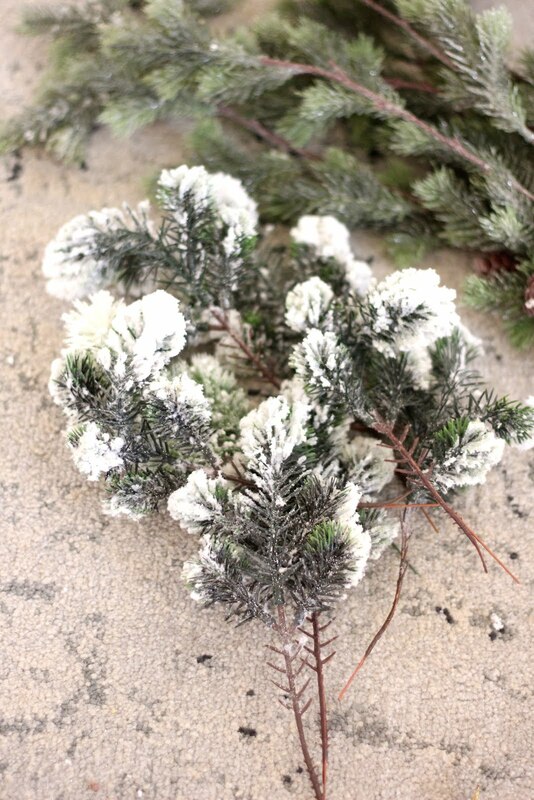 Especially when you have a lot of wreathes like me (I also have a lot of Christmas stuff from over the years too). 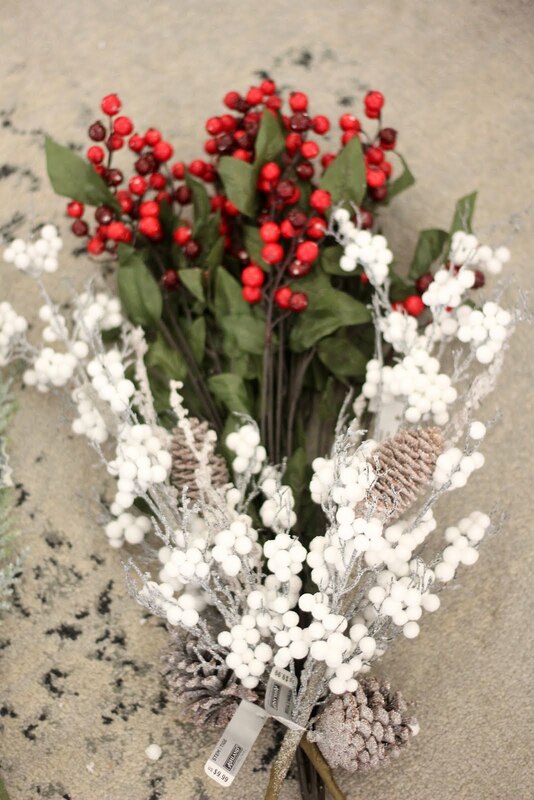 Berries and pine cones are great fillers! Especially if you use colored berries. 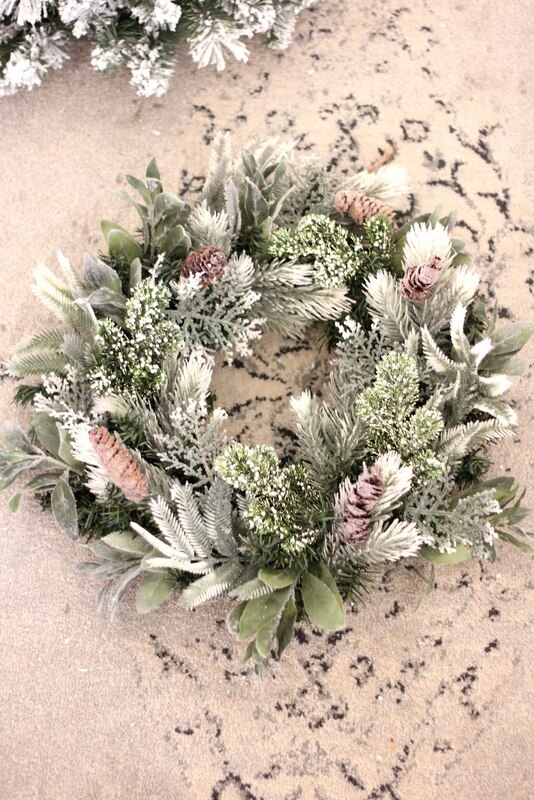 I have a huge wreath in my kitchen and I believe I used 6 bundles on it, but it still looked empty. So I added the red berries and it worked out perfect! 3. Cut up the bundles. Use wire cutters (so easy and quick). Then I spread all the pieces out to see how I want to add them. 4. Start adding the bigger pieces first. Add the bigger pieces at 12 o'clock, 3 o'clock, 6 o'clock, and 9 o'clock. 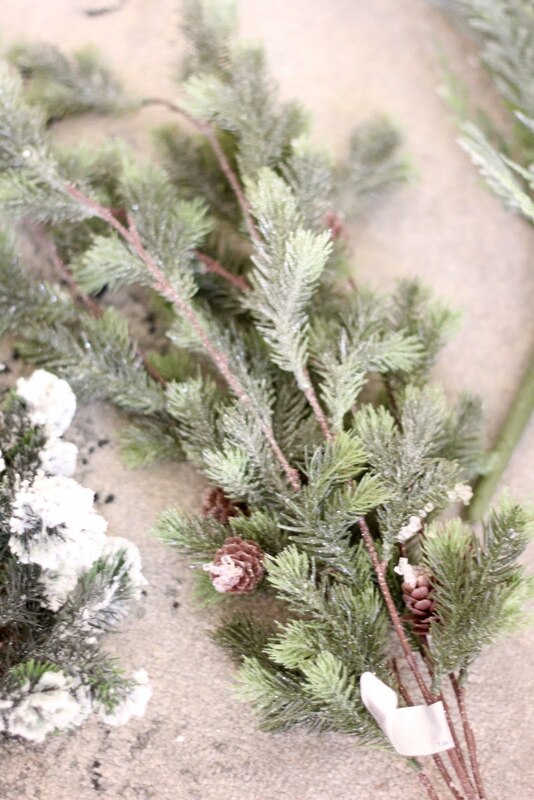 I will show you here while building Hudson's wreath. Then add some other pieces in between. And repeat using other pieces. And repeat until its even and full. 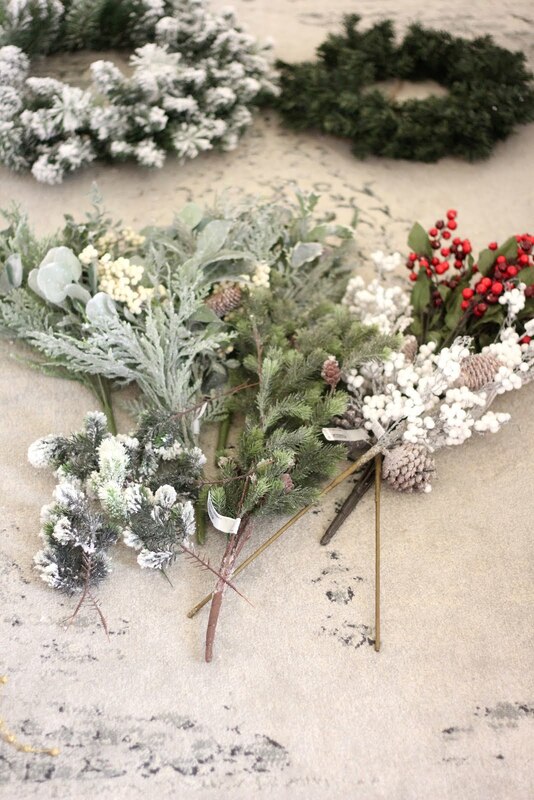 I have re-arranged all my wreaths except the ones outside. So it is okay, if you find you don't like it. Just keep at it until you love it! 5. Add a bow. This is optional. A lot of times I don't add bows. But I did add one to the one in my living room to make it a little more "homey" and to the one outside. 6. Enjoy the finished product. I hope you enjoyed this. Thank you so much for stopping bye. 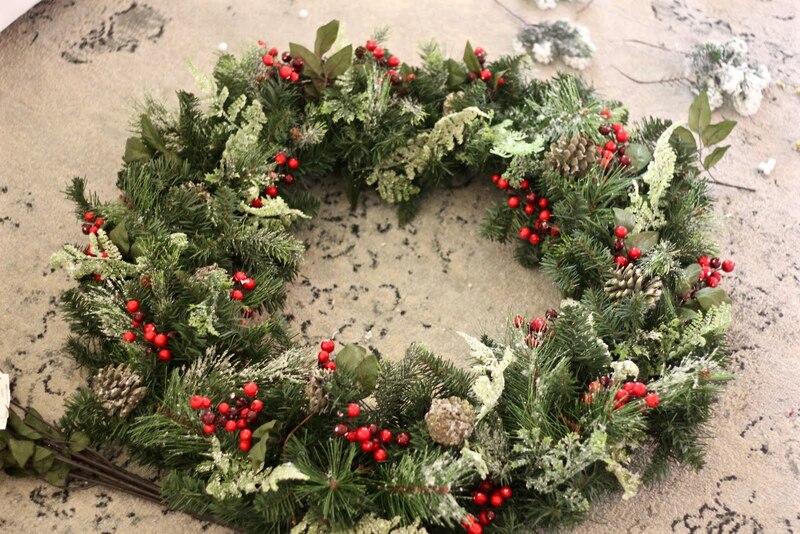 Hannah, what are you using to secure the bundles to the wreath so they do not fall out?